When George Kappler founded Kappler, Inc. on April 1, 1976, there were eight employees and six sewing machines. 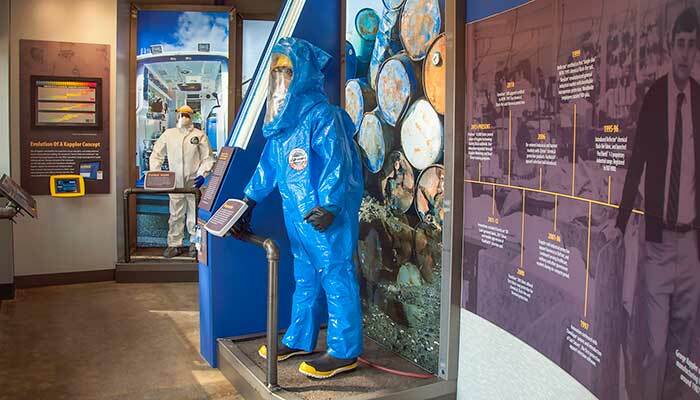 Today, the company is a respected global leader in chemical protective apparel. 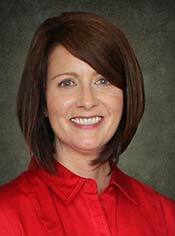 With George still active in the business and daughter Laura Kappler-Roberts serving as President and CEO, Kappler continues to grow as a certified Woman Owned Small Business. Started April 1, 1976, in downtown Guntersville as contract manufacturer with eight employees and six sewing machines. Began making “Kappler” brand disposable garments. Established research & development department. Sister company Life-Guard began producing high-end chemical suits. Patent issued for Responder® broad holdout chemical fabric. Introduced “fabric family” concept with CPF® chemical range, plus pioneered microporous technology with ProVent® blood and viral barrier fabric. Established Kappler Engineered Specialty Fabrics division. Introduced Reflector® chemical flash-fire fabric, and launched Pro/Shield® proprietary industrial range. Introduced patented ChemTape® plus Suit Smart® protective apparel selection software. 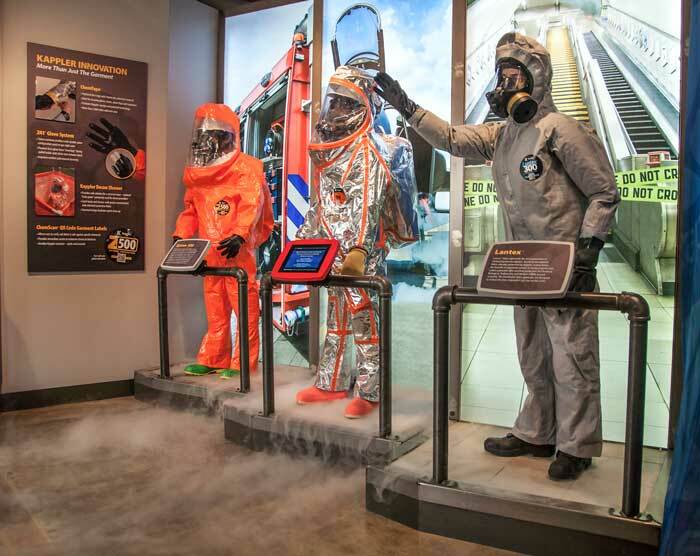 Reflector® certified as first “single skin” NFPA 1991 chemical flash-fire suit. NexGen® revolutionized industrial market with microporous technology. Following no-compete period with DuPont, re-entered market with Zytron® chemical protective products, plus introduced HazMatch® selection tool. Introduced Frontline fabric family with first three-way protection for chemical, flash-fire and thermal protection; Frontline® 500 certified to NFPA 1991. Introduced ChemScan® QR Code garment labels, 2N1® Glove, and mobile app version of HazMatch®. Opened Kappler Museum & Visitors Center to mark 40th anniversary. Introduced expanded-View anti-fog visor system for gas-tight suits. Certified As Woman-Owned Small Business (WOSB). The Kappler Museum & Visitors Center opened in April 2016 in conjunction with the celebration of Kappler’s 40th Anniversary. The museum is located on the Kappler campus in Guntersville, Alabama. 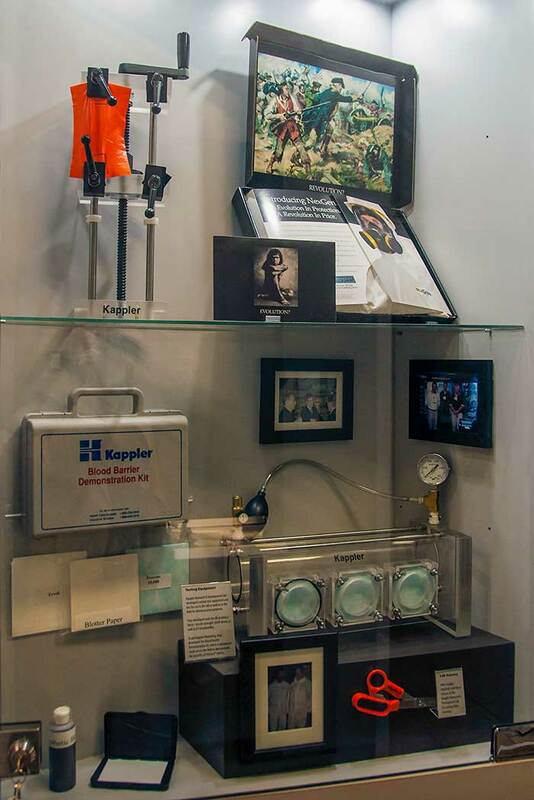 It provides a fascinating look into the history of protective apparel — and the Kappler technology that has driven that industry since 1976. Exhibits range from a historical timeline to how-do-they-do-that technical explainers. The exhibits are designed to be interesting and informative for a wide range of ages and interests. 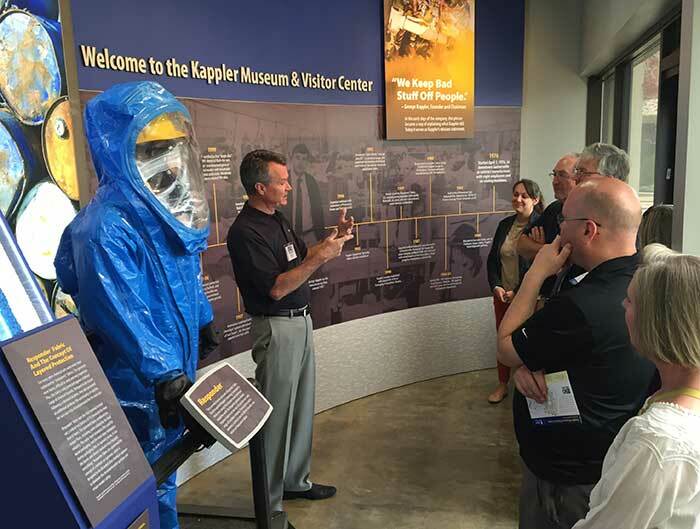 Kappler tour guides available on request, and bring the museum to life with key insights and interesting anecdotes about the company’s history. School groups as well as other groups and individuals are invited to take advantage of the Kappler Museum. There is no charge for admission. For more information or to arrange a tour call us at 1-800-600-4019 or email customer service.